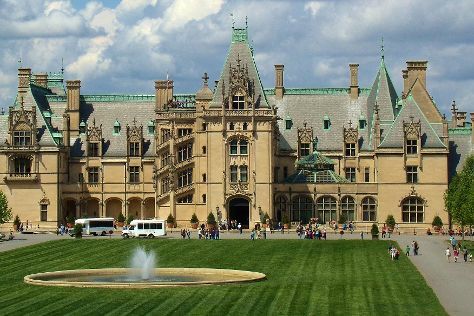 Your day-by-day itinerary now includes Biltmore Estate as well as The Omni Grove Park Inn Spa. Start off your visit on the 7th (Fri): explore and take pictures at Elijah Mountain Gem Mine and then soothe aching muscles at The Omni Grove Park Inn Spa. Here are some ideas for day two: do a tasting at Biltmore Estate. Use Inspirock's suggestions to plan your Asheville trip and find the best activities and attractions for your vacation. Charleston to Asheville is an approximately 4.5-hour car ride. You can also fly; or do a combination of flight and car. Expect slightly colder temperatures when traveling from Charleston in December; daily highs in Asheville reach 54°F and lows reach 35°F. On the 9th (Sun), you'll have the morning to explore before heading off to Sevierville. Family-friendly places like Dollywood and Ripley's Aquarium of the Smokies will thrill your kids. Change things up with a short trip to Ole Smoky Tennessee Moonshine in Gatlinburg (about 30 minutes away). To see ratings, where to stay, traveler tips, and other tourist information, read our Sevierville planning app . You can drive from Asheville to Sevierville in 2 hours. Alternatively, you can do a combination of bus and taxi. In December, daily temperatures in Sevierville can reach 53°F, while at night they dip to 36°F. Wrap up your sightseeing by early afternoon on the 12th (Wed) to allow enough time to travel back home.